Top 3 tips before booking your next flight! Brussels Airlines 2094 & 2095 – London Heathrow to Brussels vv. FlyBe 1370 & 1371 – London City to Amsterdam vv. Fly Scoot 2455 & 2466 – Kuala Lumpur to Singapore vv. 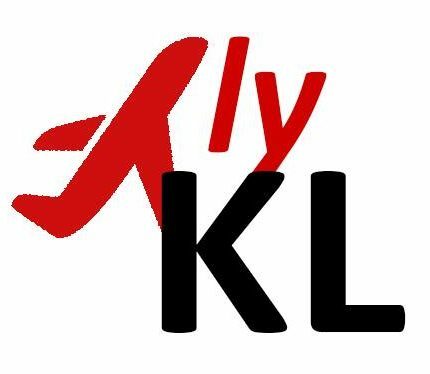 December 22, 2017 January 27, 2018 Kingsley Lee2 Comments on Fly Scoot 2455 & 2466 – Kuala Lumpur to Singapore vv. @Lufthansa ‘s 🇩🇪 @airbus 3️⃣2️⃣0️⃣neo spotted 📸 on final approach 🛬 into @heathrow_airport 🇬🇧. In case you are wondering 🤔, the ‘NEO’ stands for new engine option and is more fuel efficient 👍🏼 than its predecessors of the same family. Fun fact Saturday💡: Did you know that most commercial airplanes ✈️ nowadays have their own names 🤔? They can usually be found 👀 at the front of the fuselage, just like this Leading Lady @boeing 7️⃣8️⃣7️⃣ Dreamliner of @virginatlantic 🇬🇧, which was spotted 📸 on final approach 🛬 into LHR. The calm before the storm moments before the seatbelt sign is turned off upon arrival at the gate post landing 🛬 at Bangkok’s @suvarnabhumi_airport 🇹🇭. Trip report for this sector from London 🇬🇧 on @thaiairways ‘ superjumbo now available @ FlyKingsley.com or via the link in my profile. It’s the little 😍 things (in Economy class especially) that separates an ordinary airline to an award wining 🌟 one. Glad that @thaiairways hands out hot ♨️ towels before meal 🍽 service on a long haul flight ✈️. Trip report for this sector from London 🇬🇧 to Bangkok 🇹🇭 now available @ FlyKingsley.com or via the link in my profile. G&T🍸 to welcome the weekend anyone? 🤗 Throwback to my flight onboard @thaiairways during the post take off 🛫 snacks 🥨 and drinks🥤service. Trip report for this sector from LHR 🇬🇧 to BKK 🇹🇭 now available @ FlyKingsley.com or via the link in my profile. Tail camera 📷 view 😍 upon pushback for departure 🛫 onboard the @airbus 3️⃣8️⃣0️⃣ of @thaiairways from London 🇬🇧 to Bangkok 🇹🇭. Trip report for this sector now available @ FlyKingsley.com or via the link in my profile. Good legroom 💺 (featuring foot rests) in Economy onboard the 🅰️3️⃣8️⃣0️⃣ superjumbo ✈️ of @thaiairways from London 🇬🇧 to Bangkok 🇹🇭. Trip report for this sector now available @ FlyKingsley.com or via the link in my profile. Safety demo screened pre departure onboard the superjumbo ✈️ of @thaiairways . Trip report for this sector from LHR 🇬🇧 to BKK 🇹🇭 now available @ FlyKingsley.com or via the link in my profile.